Corporate room control plus signal extension and distribution. 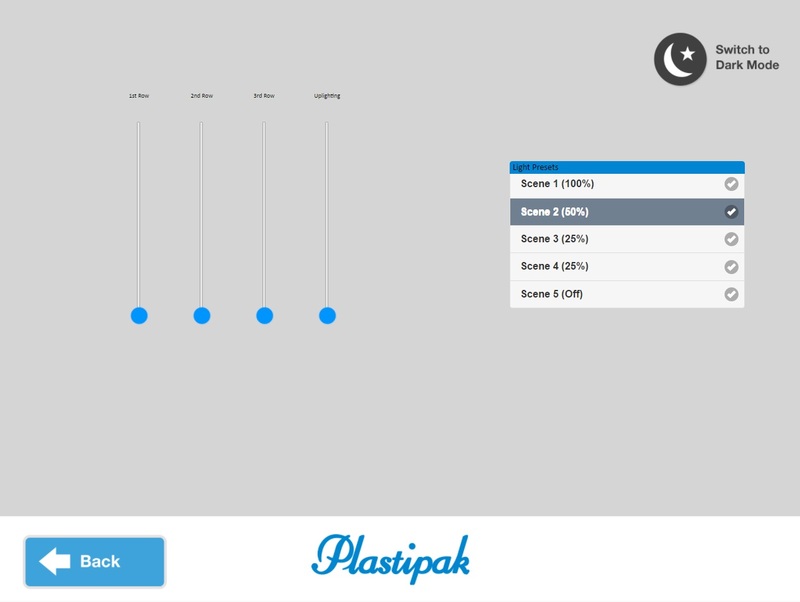 Plastipak Holdings, Inc. is a leading supplier of plastic containers, manufacturing technologies, equipment, and services. They are one of the largest users of PET and HDPE resin in the Western Hemisphere and an industrial leader in the production of dynamic custom containers. 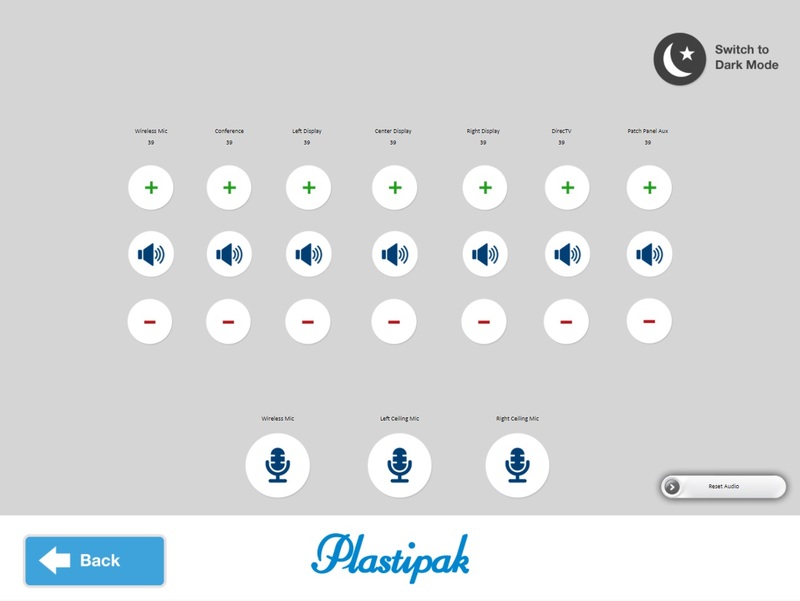 When Plastipak wanted to upgrade its room technology, it turned to KLA Laboratories to meet and exceed their business needs. To provide the best control solution for this technology, KLA turned to High Resolution Systems. 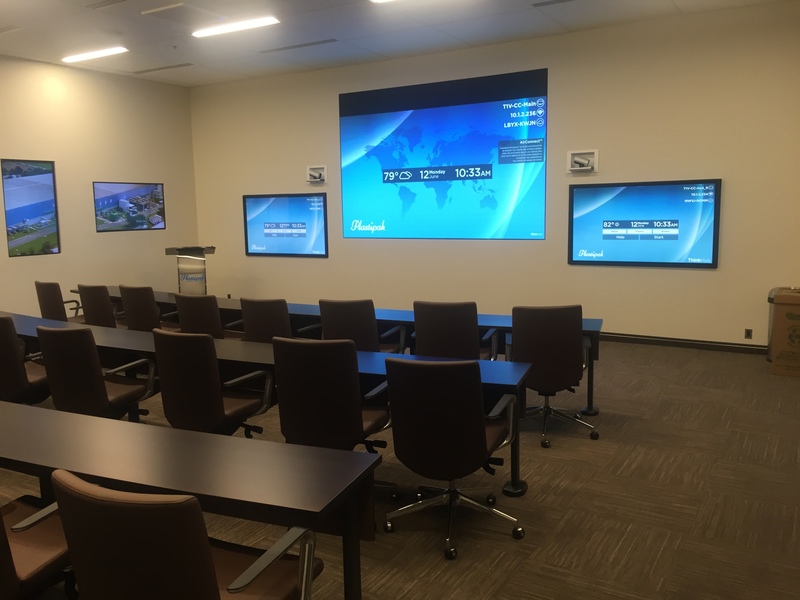 The newly built room is purposed for meetings, presentations and events by the Plastipak staff at its corporate headquarters. The meetings held in the room include financial reviews, video conferencing, corporate events, and other general gatherings. The advanced technology within the environment is aimed at enhancing its usability when members have their meetings or special events. The challenge here was to provide the very best technology that worked well together, providing high impact and a great experience, while making it simple for all employees to use the space. KLA Laboratories was selected as the most appropriate business for the need at hand. The company has sufficient experience and knowledge in providing the best AV solutions and also has demonstrated the ability to deliver the desired final product as required by the end client. HRS was chosen to provide the control solutions for the space based on its non-proprietary software, open source connections and easy-to-use user interface. “For me, HRS’s overall solution is perfect. They explained every step of the process and were ready to offer details of how the system would answer all the needs of the end client. The final solution was exactly what we and the end client wanted”. John Watza with KLA Laboratories on his experience working with HRS on the project. KLA had plenty of options to select from for the purpose of controlling the space. Based on KLA’s extensive knowledge and past experience, they knew that HRS was the most cost effective option they could use, with the main focus on providing control and managing the room. KLA also knew HRS’ experience and understanding of the challenge at hand and professionalism would play a key role in providing a full end-to-end solution for the client. With the implementation of the HRS control solution, KLA also knew it was providing a very flexible control software that would accommodate future changes as needed, which meant it could be used for a long time. Other control options in the market were not as flexible and would need proprietary help — meaning a substantial higher cost for the client. The HRS solution provided the best future-proof solution within the proposed scope and budget. HRS is the central piece of the system, and was created to be a simple interface for anyone to walk into the room and use the system without needing to know all the details of each device. To control the room, employees only need to use one of the two iPads in the room, one is permanently mounted to the wall and the other floats so that a presenter can walk around with it. 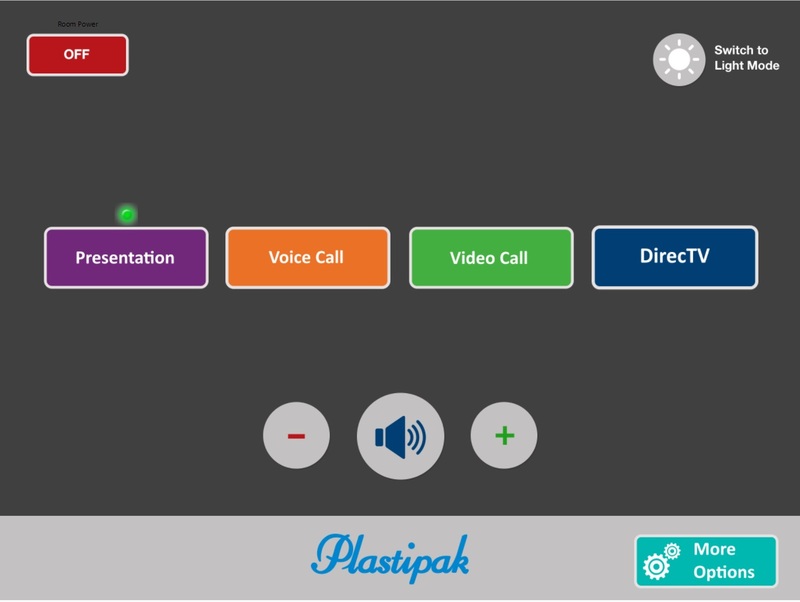 The system gives a simple GUI to make audio and video calls on the Cisco system as well running presentations within the room. Auto Camera Selection — By interfacing HRS with the audio system and Cisco system, an auto camera follow feature was created. Three presets on the Cisco for camera views, left side, right side and a center/main view. The room has three microphones, handheld wireless, left side ceiling and right side ceiling. When the system picks up audio from the left side mic it triggers the preset to show the left side of the room, and same for the right side, when the handheld mic is used we choose the center preset. This way when they are in a video call the cameras are showing who is talking at the time so if someone in the audience asks a questions they are on screen without anyone needing press any buttons. 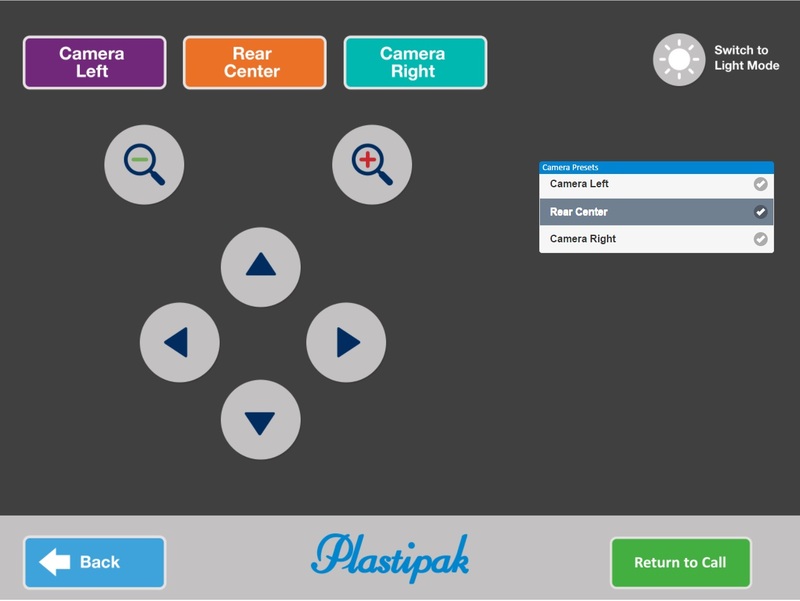 We also created a “manual mode” so that the presenter can take over control of the cameras and manually select what is shown/viewed. Display Control — Complete display room control was created for the system. 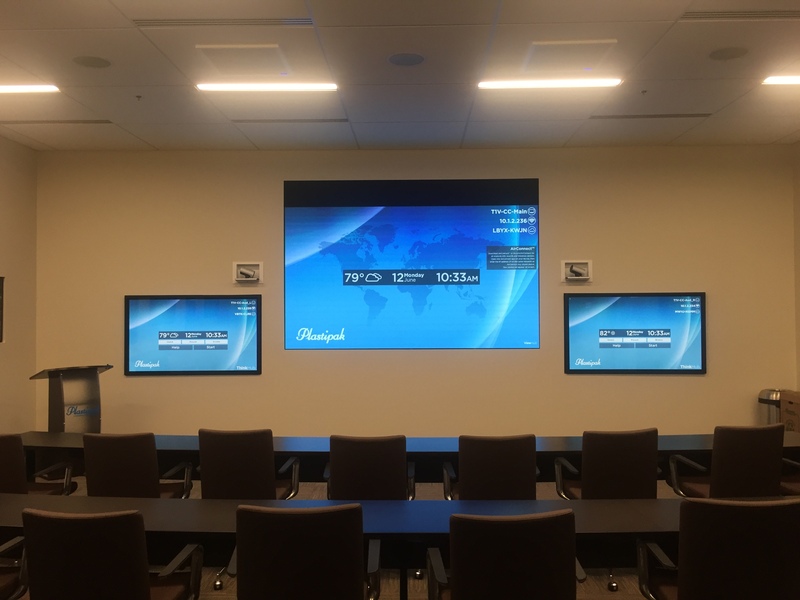 The room has three main displays at the front of the room (2 NEC and 1 LED Wall) depending on what is selected it will power on or power off the needed displays. Since we cannot control the LED wall we utilize sending a muted input/no source to the large LED wall to give the effect of it being turned off. There are also five LG displays mounted in the wall to the left that run promotional videos that they have manual on/off controls of so they can be turned off during meetings — also can be turned on for presentations to potential customers. Lighting Control — Pre-programmed lighting presets that are triggered when someone starts using the system were added to the system. This gives manual controls via sliders to customize the lights based on needs/usage. Application: Room control plus signal extension and distribution.